You~ll find yourself feeling flawless in the fashion-forward Natalie bootie. Rich suede or leather uppers with a round toe. 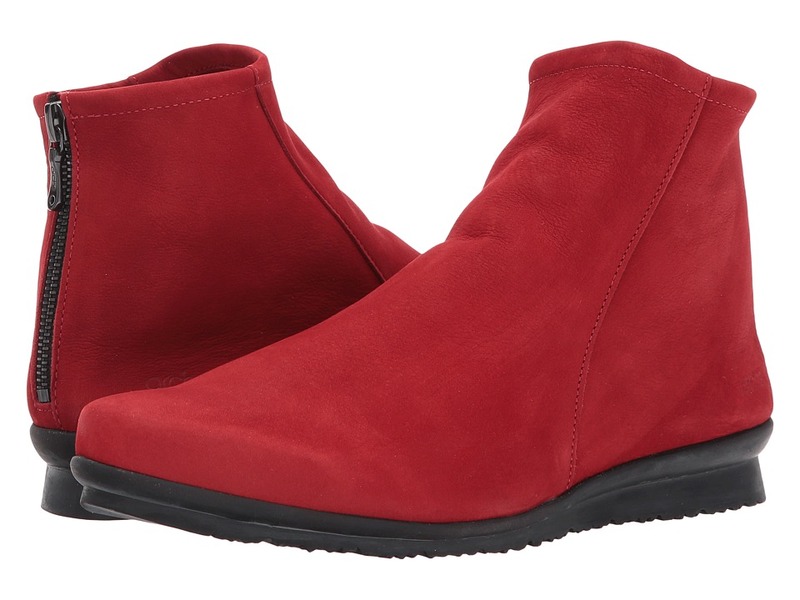 Features a slimming ~V~ shaped instep with goring and a medial side zipper. Soft textile linings. Lightly cushioned footbed for added support. Sculpted stacked heel. Durable rubber outsole. Imported. Measurements: Heel Height: 2 1 2 in Weight: 10 oz Circumference: 10 1 4 in Shaft: 4 in Product measurements were taken using size 8, width W (D). Please note that measurements may vary by size. Weight of footwear is based on single item, not the pair. 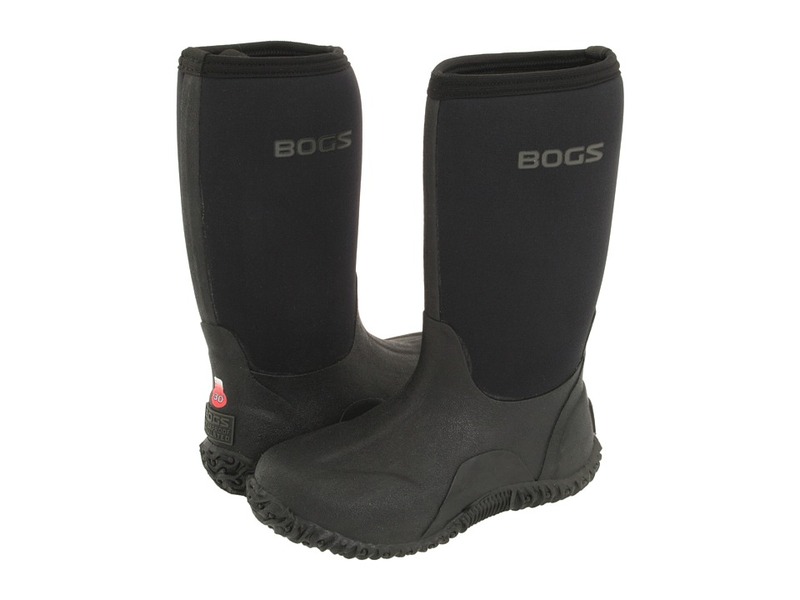 Tackle the city head on with the Bogs&amp#174 Urban Walker. 100 percent waterproof, hand-lasted rubber upper for added durability. 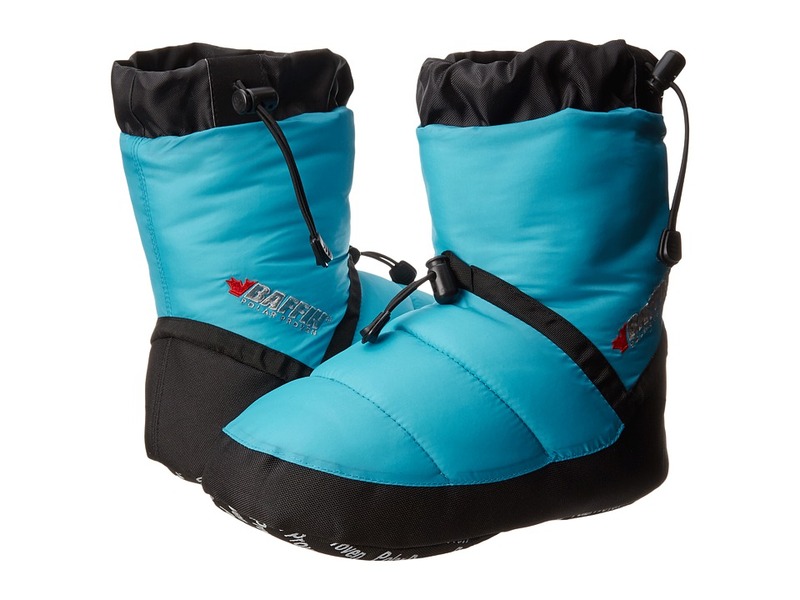 Four-way stretch Neo-Tech inner bootie delivers comfort. Contoured EVA sockliner with Aegis antimicrobial odor protection helps feet stay fresh and comfortable. Slip-on style with pull tab and side goring for easy on and off. Enhanced rubber outsole provides maximum traction to help you stay steady on your feet. Comfort rated to -20&amp#176F. 100 percent vegan. Measurements: Heel Height: 1 1 2 in Weight: 1 lb 6 oz Platform Height: 1 2 in Product measurements were taken using size 12, width D - Medium. Please note that measurements may vary by size. Weight of footwear is based on single item, not the pair. Men who respect themselves, respect their feet! 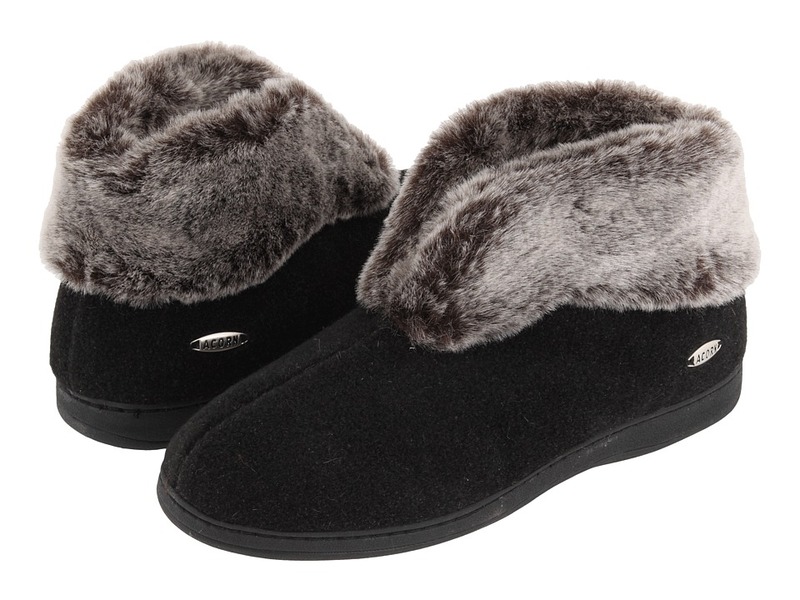 Double-faced sheepskin uppers surround your feet in softness and warmth. 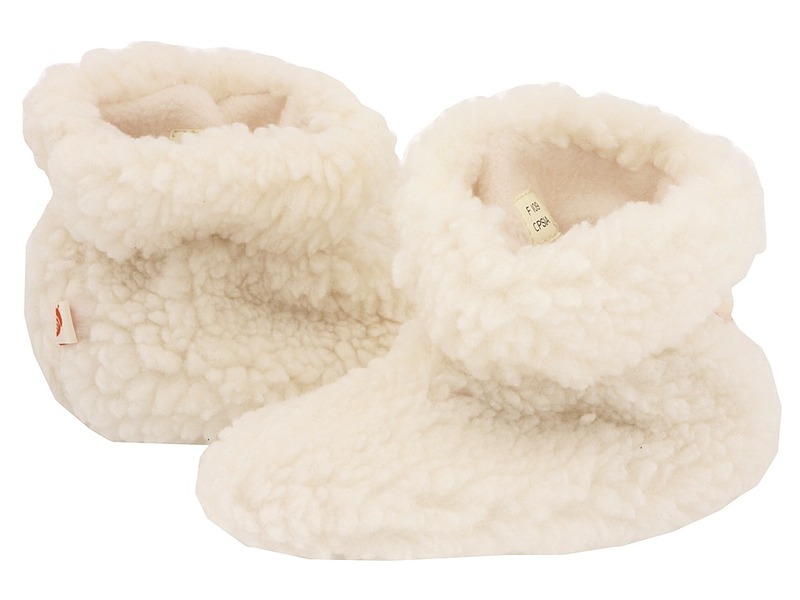 Plush sheepskin lining boasts biodegradable and hypoallergenic properties. Acorn~s Classic Comfort Sole construction delivers superior cushioning. Lofty memory foam midsole aids in reducing foot fatigue and pressure. 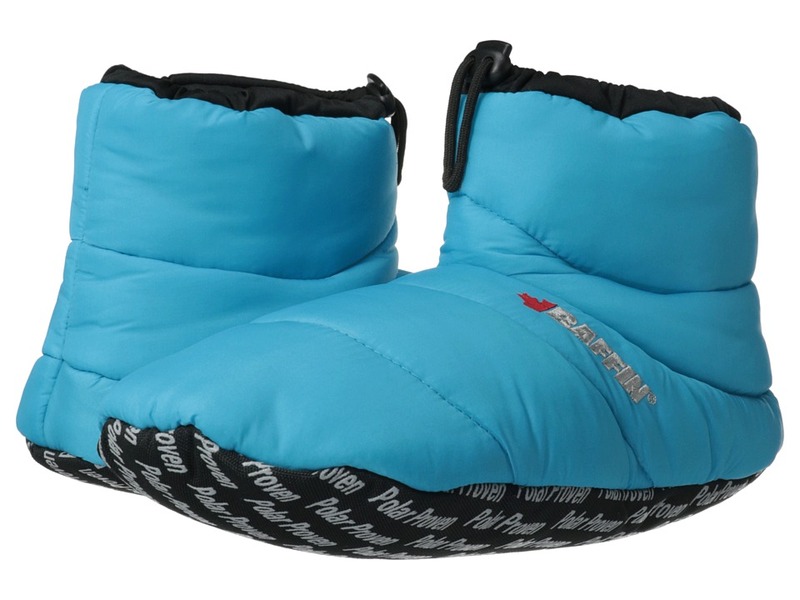 Featherweight EVA supplies total comfort and therapy for your feet. Non-slip weatherproof outsole is ideal for both indoor/outdoor wear. Clean with a damp cloth air dry. Brush leather with a soft brush to revive. Real sheep fur or lamb has been artificially dyed and treated. Fur origin: Australia. Measurements: Weight: 9.5 oz Product measurements were taken using size 8, width M. Please note that measurements may vary by size. Weight of footwear is based on a single item, not a pair. 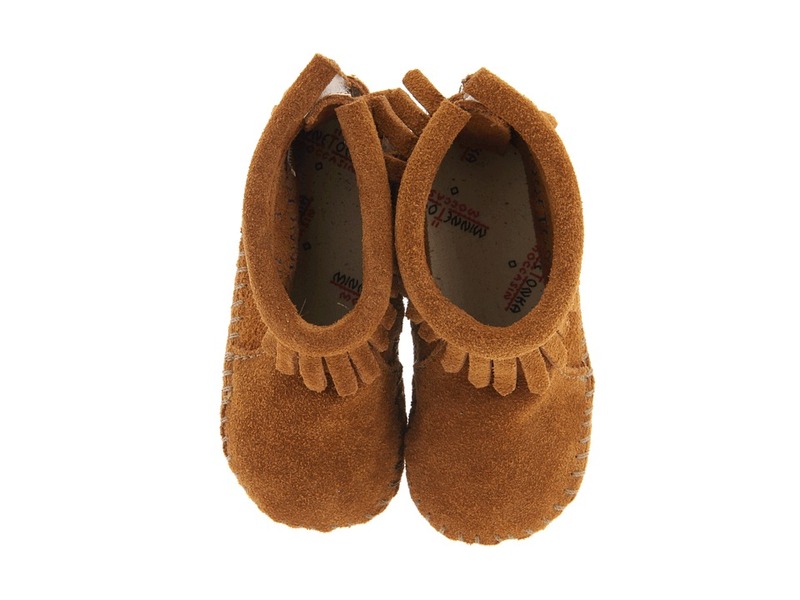 Classic bootie for your newest addition. Premium leather upper has a perforated design. 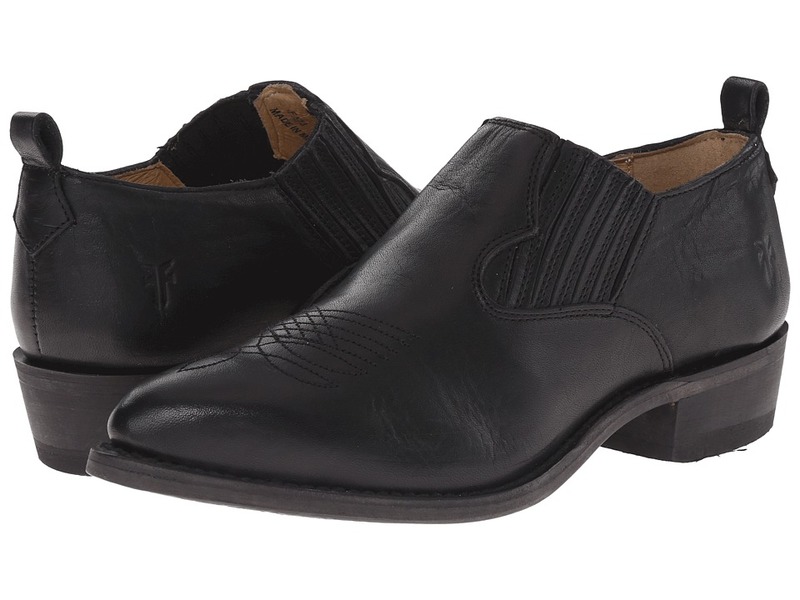 Breathable leather lining and lightly cushioned leather footbed for all-day comfort. 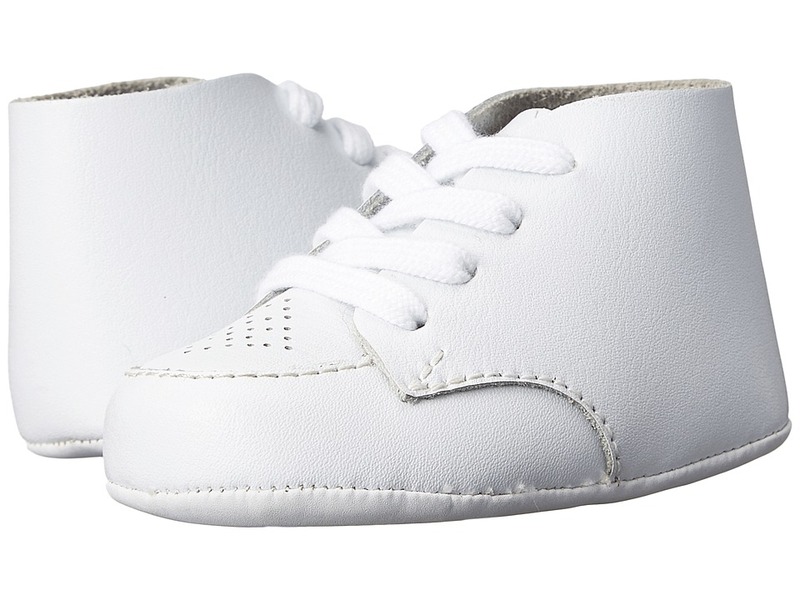 Lace-up closure ensures a secure fit on busy little feet. Flexible and lightweight leather outsole. Measurements: Weight: 1 oz Product measurements were taken using size 3 Infant, width M. Please note that measurements may vary by size. Weight of footwear is based on a single item, not a pair. Chase the chill away on a cold night in the Tex Easy Bootie. Berber textured upper. 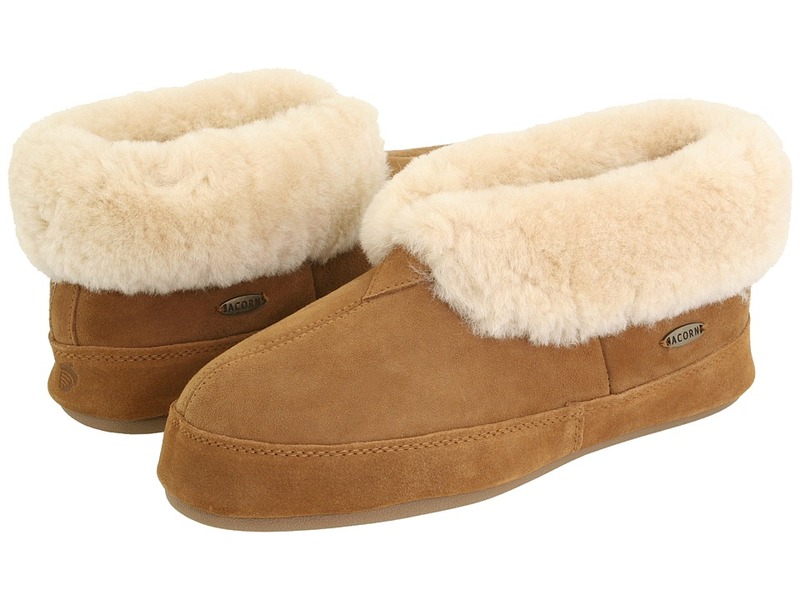 Fleece lining and cushioned footbed will keep feet toasty on the coldest of nights. Slip-on styling with elastic collar to ensure a secure fit. Flexible synthetic suede outsole. Measurements: Weight: 1 oz Product measurements were taken using size TXL (18-24 Months), width M. Please note that measurements may vary by size. Weight of footwear is based on a single item, not a pair. Pad around in luxurious style wearing the Arche Baryky booties. Tanned deer skin leather upper. Back-zipper closure for easy on and off. Leather lining and insole. All-natural Latex outsole for maximum shock absorption and comfort. Made in France. Measurements: Heel Height: 1 in Weight: 11 oz Circumference: 9 3 4 in Shaft: 5 in Product measurements were taken using size 40 (US Women~s 9), width M. Please note that measurements may vary by size. Weight of footwear is based on a single item, not a pair. Note: The sizing info on the box will differ slightly from our sizing (Ex: Bogs 7I = 7 Toddler, Bogs 1K = 1 Little Kid). Please select your child~s regular size when ordering. 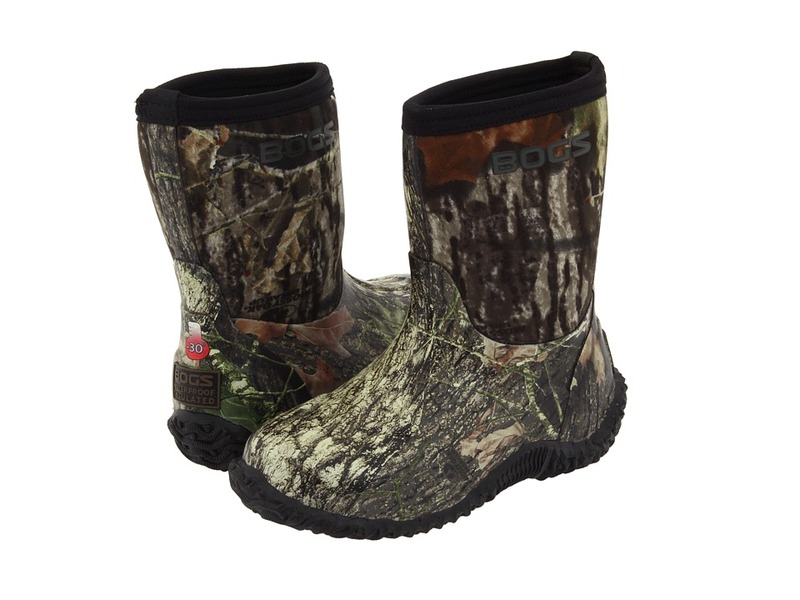 Enjoy the great outdoors in the fun and functional Bogs Kids Classic High Camo winter boots. 100 percent waterproof. Made of durable, hand-lasted rubber. Easy pull on handles. 7mm waterproof Neo-Tech insulation. Four way stretch liner bootie. Bogs Max-Wick moisture-wicking lining to stay dry and comfortable. Contoured EVA insole features DuraFresh biotechnology activates to fight unwanted odors. Non-marking, self-cleaning rubber outsole. Temperature rated to -30&amp#176F/-34&amp#176C. Imported. Measurements: Weight: 1 lb 2 oz Circumference: 13 in Shaft: 10 in Product measurements were taken using size 11 Little Kid, width M. Please note that measurements may vary by size. Weight of footwear is based on a single item, not a pair. Note: The sizing info on the box will differ slightly from our sizing (Ex: Bogs 7I = 7 Toddler, Bogs 1K = 1 Little Kid). Please select your child~s regular size when ordering. 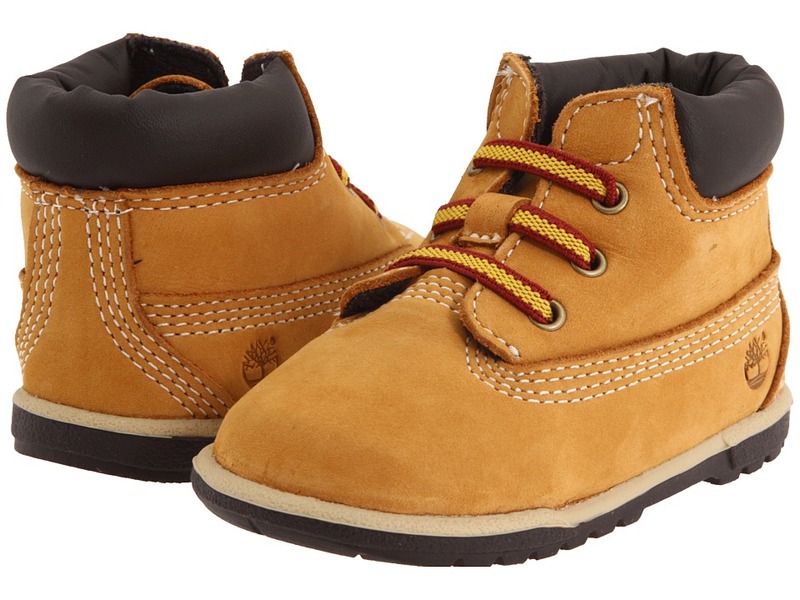 Enjoy the great outdoors in the fun and functional Bogs Kids Classic Mid No Handle winter boots. 100 percent waterproof. Made of durable, hand-lasted rubber. Easy pull on handles. 7mm waterproof Neo-Tech insulation. Four way stretch liner bootie. Bogs Max-Wick moisture-wicking lining to stay dry and comfortable. Contoured EVA insole features DuraFresh biotechnology activates to fight unwanted odors. Non-marking, self-cleaning rubber outsole. Temperature rated to -30&amp#176F/-34&amp#176C. Imported. Measurements: Weight: 1 lb 1 oz Circumference: 12 in Shaft: 7 1 2 in Product measurements were taken using size 13 Little Kid, width M. Please note that measurements may vary by size. Weight of footwear is based on a single item, not a pair. Give your feet the rest and comfort they deserve with the beautifully-crafted Spital slipper from Giesswein&amp#174. 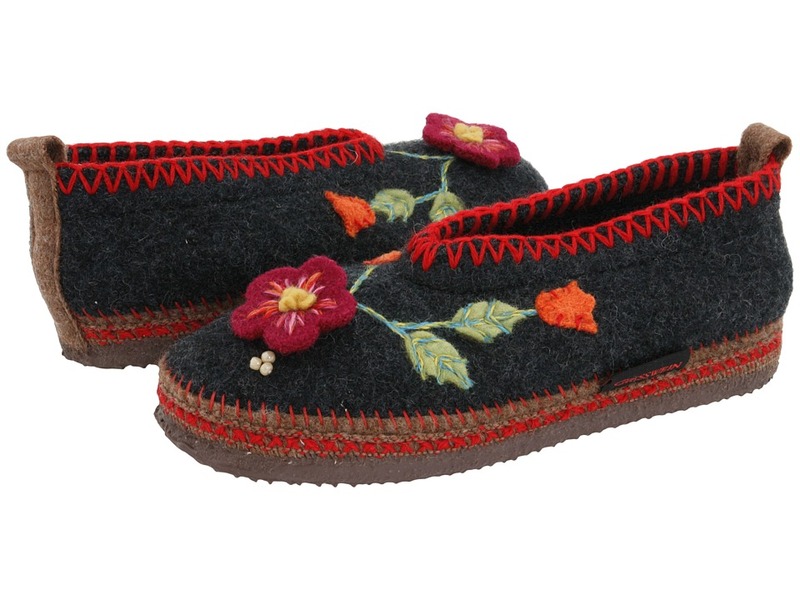 Adorable hand-sewn upper with contrast-stitch design and flower applique for a vintage appeal. Boiled wool upper is temperature-regulating and naturally wicks away moisture for a dry, healthy foot environment. Anti-microbial wool interior with edge-free mid seam ensures form-fitting comfort with no chafing. Removable anatomically correct footbed offers supreme comfort and arch support for long-term wear. Can accommodate your personal orthotics. Slip and water-resistant, latex-dipped outsole will not mark or scuff your floor. Machine washable. Imported. Measurements: Heel Height: 3 8 in Weight: 7 oz Platform Height: 3 8 in Product measurements were taken using size 37 (US Women~s 6), width M. Please note that measurements may vary by size. Weight of footwear is based on a single item, not a pair. When your tired feet are screaming for a break, slip into the Faux Chinchilla Bootie II from Acorn&amp#174. 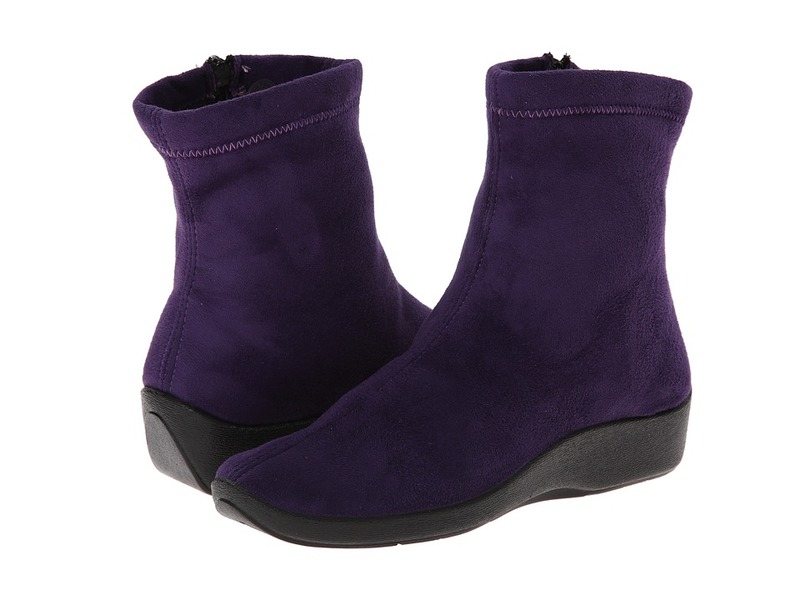 Rich, Italian plush fabric uppers in a stylish bootie for continuous fashion appeal. Faux chinchilla linings provide added warmth and comfort all day or night. Cushioned memory foam footbed offers continuous cushioning and support. Enhanced heel counter and a raised arch offer increased stability. 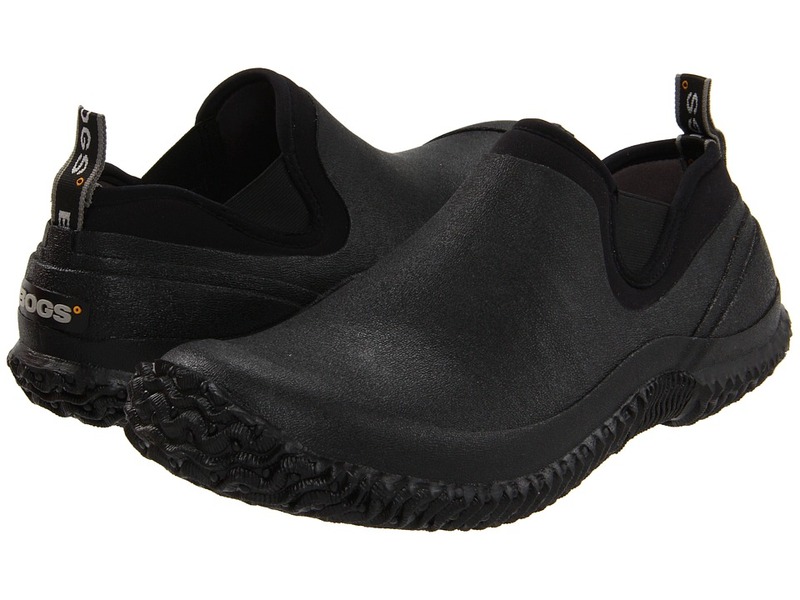 Weatherproof rubber outsole with non-skid tread provides indoor/outdoor wear. Machine wash, tumble dry. Imported. Measurements: Weight: 9 oz Product measurements were taken using size SM (US Women~s 5-6), width M. Please note that measurements may vary by size. Weight of footwear is based on a single item, not a pair. These booties were made for walkin~, so show them off in your favorite pair of cowgirl jeans or a darlin~ skirt for a fun night out! Faux leather upper with faux leather underlays on vamp and heel. Dual side gore panels for a stretchy yet secure fit. Soft man-made lining for a comfortable fit. Lightly cushioned insole provides hours of comfort. Tall man-made heel. Durable rubber outsole. Imported. Measurements: Heel Height: 2 in Weight: 11 oz Product measurements were taken using size 8.5, width B - Medium. Please note that measurements may vary by size. Weight of footwear is based on a single item, not a pair. 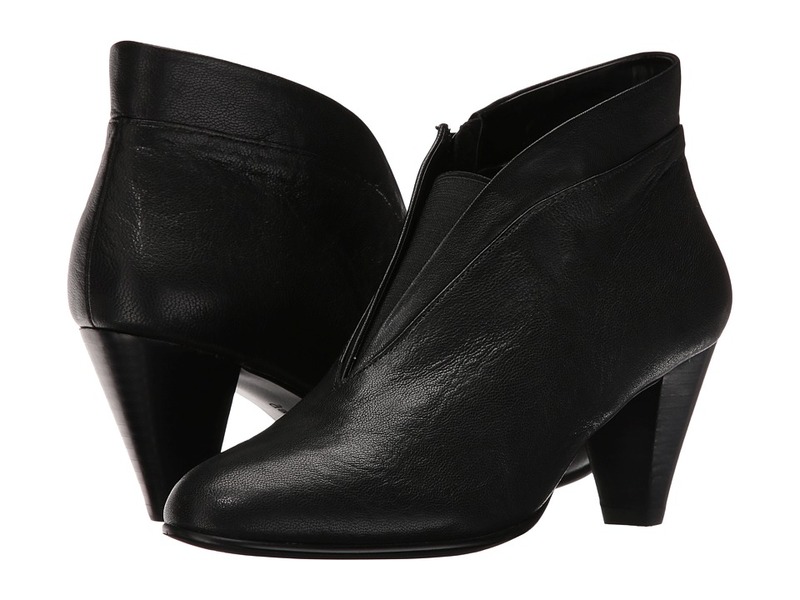 Discover a new world of comfort in the Vegan L8 bootie from Arcopedico. Lytech&amp#174 upper combination of polyurethane and stretch fabric looks and feels like suede. The breathable upper stretches and conforms to the foot~s shape for a cozy yet cool fit. Inside side zipper makes entry and exit nice and easy. Full-length padded footbed for extended-wear comfort. Super flexible and durable TPR outsole features a gel heel insert for extra shock absorption. The Lytech series of footwear from Arcopedico is fully machine washable. Imported. Measurements: Heel Height: 1 1 2 in Weight: 7 oz Circumference: 11 in Shaft: 6 1 2 in Product measurements were taken using size 37 (US Women~s 6.5), width M. Please note that measurements may vary by size. Weight of footwear is based on a single item, not a pair. 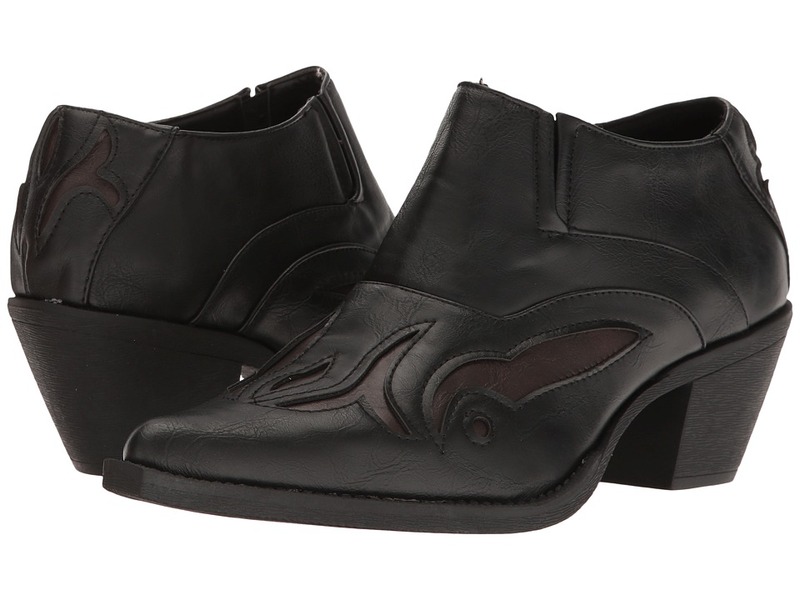 Slip into soft western style with these classic booties. 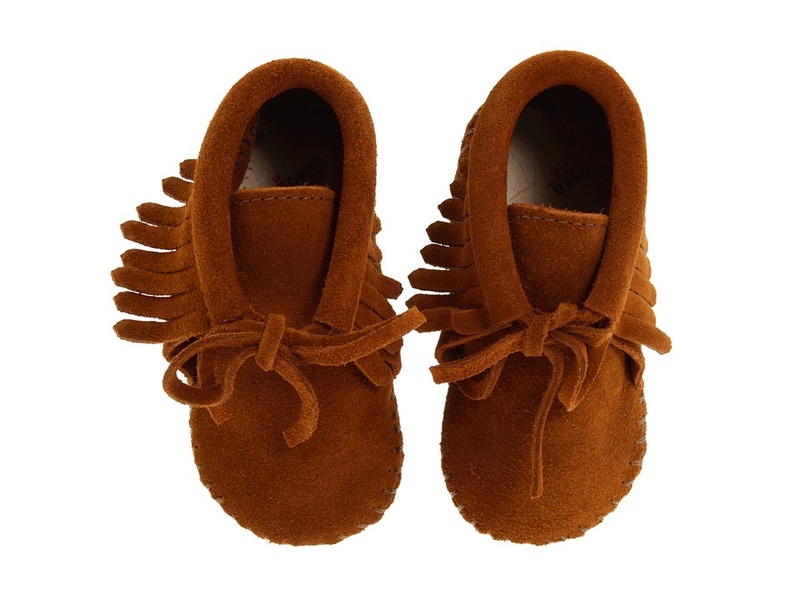 Suede upper features detailed stitching and fringe accent around the ankle. Hook-and-loop back closure for easy on and off. Breathable textile lining and cushioned insole. Flexible outsole for comfort. Measurements: Weight: 3 oz Circumference: 8 1 2 in Shaft: 3 in Product measurements were taken using size 3 Infant, width M. Please note that measurements may vary by size. Weight of footwear is based on a single item, not a pair. A little fringe goes a long way with these classic boots. Suede upper features delicate fringe detail. Textile lining and cushioned insole. Lace-up closure for secure on and off. Flexible outsole for lightweight support. Measurements: Weight: 3 oz Circumference: 8 1 2 in Shaft: 3 in Product measurements were taken using size 3 Infant, width M. Please note that measurements may vary by size. Weight of footwear is based on a single item, not a pair.